Aging gets a bad rap, as it’s associated with greying hair, wrinkles, weight gain, energy and memory loss, but you do not have to follow this path. Did you know that only 10% of disease is caused by genes, and the other 90% is controlled by lifestyle? LIFESTYLE AND EXPOSURES are huge factors in the way that you age. Read more for factors in aging to consider as you get older. Oxidative stress is thought to cause aging. This is when cells are attacked by free radicals. When there are more free radicals present than antioxidants to disarm them, the free radicals are able to damage tissues, DNA and proteins in the body, which over time can cause signs of aging, and disease. ANTIOXIDANTS (from Vitamins A, C and E) help disarm free-radicals, so a diet with many antioxidants is extremely valuable to slow down aging. Fruits such as bananas and apples “oxidize” when they turn brown, meaning they are lower in antioxidants than fruits such as mangos and peaches, which retain their color. Eating five or more servings of fruits and vegetables high in antioxidants daily can help provide your body with what it needs. Check out this list of foods with antioxidant capacities. You can also consider taking a Vitamin C supplement of 1000mg daily. COLLAGEN is the glue that holds bones, skin, muscles, tendons and ligaments together. As you age, your body produces less and lower-quality collagen. All collagen starts as procollagen, which is made by combining glycine and proline, two amino acids, using vitamin C in the process. Sugar and refined carbs interfere with collagen’s ability to repair itself, while too much unprotected sun and smoking reduce collagen production. Collagen is found in the connective tissues of animal foods, such as chicken skin. It is also found in bone broth, and gelatin. It is questionable whether consuming collagen-rich foods actually increases the levels of collagen in your body, though you will see many supplements on the market. In one study, women who took a collagen supplement showed improved skin elasticity, and topically, minimized lines and wrinkles. Click the source links to see what they used for their collagen. As you age, you lose 3 to 5% of muscle mass every 10 years. Muscles are important for bone health, strength and balance. In just 2-3 days per week, you can build muscle strength, reduce the risk for disease, improve sleep and reduce depression. Running was my main exercise for years, and I discovered Beach Body – I love that you can do them from home and the short time commitment on many of them was key! BeachBody on Demand allows access to all programs from your phone, apple TV, iPad, or laptop/computer. Get a 2 week free trial, or subscribe for $99 for an entire year. Want to see where you stand? Check out some snippets from my GXRenew report from Genetic Direction. I learned that my response to both cardio and strength training is below average in terms of gaining muscle, and losing fat, which was a little disheartening but made sense! I will just work harder! This is a big one for aging, showing that I have below average protection. This makes it extra important for me to consume many antioxidants, protect myself from the sun, sleep, and keep my skin healthy. The report makes suggestions in all of these areas to support your needs. Another big one below since inflammation is the driver of disease. 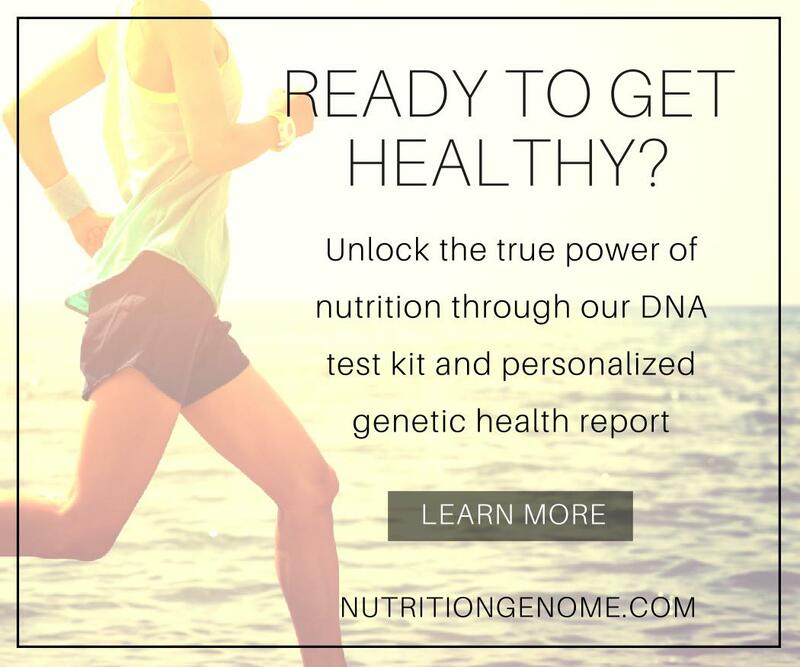 The importance of eating an anti-inflammatory diet stands out when I learned this about my genotype. I’m glad mentally, I might still be aware! How awesome is it to have all of this information at my fingertips? If you are interested in learning your signs of aging, check out GxRenew at Genetic Direction. Use the code LILRUNNER for $20 off.